No doubt, for better or worse, theme park fans remember a show at Disney’s Hollywood Studios called Sounds Dangerous starring Drew Carey. 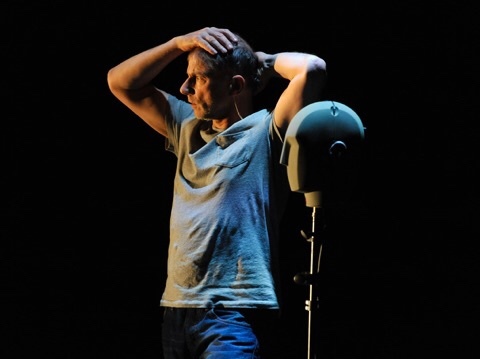 While it never became any kind of a smash hit, the technology behind the show was actually very cool. However, surrounding the audience with total darkness for over 90% of the show proved to be underwhelming in a theme park environment. 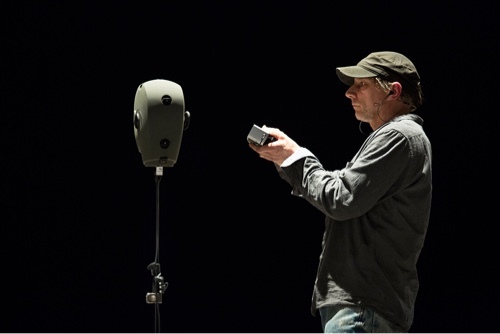 Smaller versions of the same technology, known as binaural sound, could be found in the post show at the ABC Sound Studio, as well as inside Rafiki’s Planet Watch at Disney’s Animal Kingdom. Who could forget when Great Moments with Mr. Lincoln also featured wireless headphones that also featured this new unique sound? 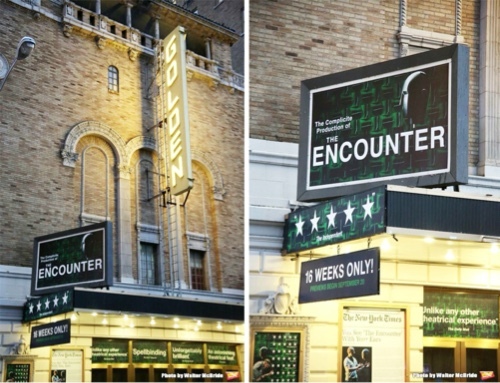 Just when you thought the technology was dead in the water, out comes the Goddard Group producing The Encounter opening this fall on Broadway. For more information including tickets visit TheEncounterBroadway.com! This entry was posted in Outside The Parks. Bookmark the permalink. Trackbacks are closed, but you can post a comment.